Could not resist posting this today. This is a wealth of empirical data on using alternative and complimentary methods and medicine to help with chronic pain. On this day before Thanksgiving, I wish all my Peers the best of days tomorrow. I have updated my blog with categories to make it even easier to find exactly what you might be desiring to read. I have also changed the way you can “like” my posts, hopefully this will allow all who come here to click on the star now. The Holiday Season is here; sigh. I am blessed that my only child is now 26 and I don’t have to rush about getting gifts, wrapping them, shopping, and cooking for several days; all in about one month’s time. That does not exclude me from attending family events where I often start out or finish feeling like a giant bear in the room while everyone else is laughing and interacting away; for hours. What to do? Set boundaries. Now. I recommend starting with changing how the entire cooking process of the two separate but, giant meals happens. If you are like me, this is no longer something you can tackle by yourself. If you are going to a large family gathering, or having one at your home, create a new plan where everyone brings a dish. If you traditionally cooked a huge turkey or a large roast, consider buying pre-cooked meat from a good grocer. Or, change the meat dish to a large chicken or a few, smaller items, like game hens. No one needs to eat that much at one time and if they wish to have some leftovers, then they can bring larger platters to share at the end of the day. In reality, one of the family members can bring the large meat dish and leave you to create some smaller appetizers. Actually, lots of small but delicious appetizers can become the entire meal. Buy meats, cheeses, crackers, olives, and more; snack all day, done. Then there are the gifts, good gracious. This can be changed as well. Create a new tradition where all the adults choose one name out of a hat. Grandchildren and young children can be excluded and gifts can be purchased throughout the few months leading up to the gift day, or purchased online already wrapped. Handmade gifts are also something you can start several months in advance, and can be very easy to create. Google DIY and other sites to find items like lavender heating socks. Rice, dried lavender and a sock; simple enough. Hand drawn bookmarks and so much more are gentle on our bodies but are still lovingly cherished and used. Give a gift to a organization like Heifer International in an adults name. If you feel the way I do today, shopping trips during this time of year are guaranteed to overwhelm us and cause a huge flair of pain every day spent inside overcrowded shops. Last, but not at all the least of these changes, is drawing boundaries ahead of time. Call your loved ones and inform them that you do not know how you will feel on either holiday (and forgive me for not mentioning Hanukah, Kwanzaa, or other holiday times; I am not familiar with how one celebrates theses). If the celebration is at your home, keep it to only two or three hours and ask for help in the clean up afterwards. If you are going elsewhere, let them know that you should be there but is always possible you will have to cancel. Personal boundaries are not wrong and may actually help to lessen the tension. Let them know you can only be there for a few hours, or that you may need to go lie down and take a nap after a few hours and then spend another hour before heading home. 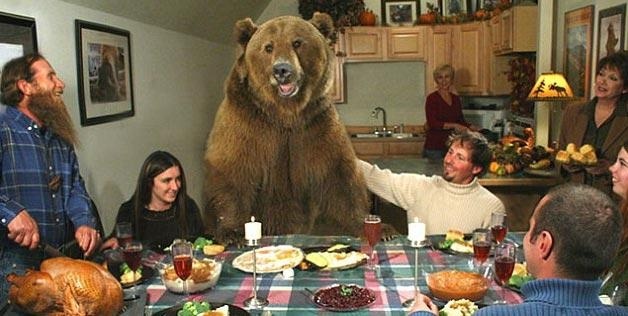 If you are staying there for the weekend or several days, inform the family that you will need to spend a lot of alone time in order to be one of the happy faces at the table or tree; not the bear. I subscribe to several newsletters from the United States Government that relate to research, funding, and other general topics. I found this new article in my inbox this morning. It was performed to test the neuron function in the brains of persons with epilepsy, however in reading through it, I see the potential for discovering why we can not sleep. It is not a difficult read. The study followed “excitability” and it’s highs and lows in the brain. These depend on the functioning of certain neurons. They need to be at a certain level for the brain to be “ordered” and allow restorative sleep. I have hope that this can be taken and applied to all persons with sleep disorders, including us! In, Out, In, Out, Shake Me All About! This blog site is written as a personal account of invisible illness. This is her story. Unfortunately, this is also too many of our stories. I wished to share it today as I know all too well the back and forth and all around only to wind up; nowhere but where you started. Source: In, Out, In, Out, Shake Me All About! I like this Daily Mail article for several reasons. First, it addresses the need to self advocate. Second, it confirms my believe that as survivors of living with an Invisable Illness, we must be informed and speak up for what we know about our own symptoms; do not think of our doctors as “God”, think of them as our allies or assistants. Third, we must create our own movement for our healthcare by learning all we can, through personal research, journaling each day, and finding a Well Living Program. I am writing today to continue the discussion I began at the end of yesterdays post concerning the complaints and negavitity of my Peers. I felt tired of always hearing the negative and not finding many who strived towards achieving the positive, despite constant pain. I have posted two links to abstract research above that validates that we are more negative in our lives. The research shows lack of interpersonal support, stigma, and that the tools used to assist other chronic illness don’t appear to work for us in improving attitude. I agree with the studies. I do not find that the same tools used for other chronic illness work for me. For instance, those who suffer from diabetes are given help from nutrionists, effective medication if used correctly, and while it is invisible, it is accepted by society. Chronic pain and exhaustion does not have effective medication, we are not given tools such as nutritionists that help us to achieve better help, and our syndromes are not widely accepted even though these illnesses are both invisible. As a Peer with an invisible pain syndrome, I advocate on my blog for using tools that are beginning to be acknowledged by doctors; but we are “told” about these, we don’t get classes to learn the tools like those with diabetes. There is stigma. It is difficult to know what to do with this; wear a badge, have a rally, I remain in the dark about how to contend with this. I am frustrated with the continued negativity, that lasts beyond the few years of grief stages for our lost “old” life, because I believe we all have the power to take back our power. One person at a time. One workplace at a time. One community at a time. The stigma is less than when I was diagnosed so many years ago. Our syndrome is accepted by the medical community, the ADA, and more. It has been my experience that I had to work very hard at lifting myself up. I had a limited support system, most of my work was internal and alone. It is never easy but I wonder if being continually negative is assisting others in continuing the stigma? Or, am I completely off the mark and depression with chronic pain/exhaustion is linked, making us prone to negative thoughts? Perhaps this is so, but even in depression the hard work that people do lessens it. I will leave these thoughts now. I would love to have feedback on this topic. Do you believe you can become more positive?